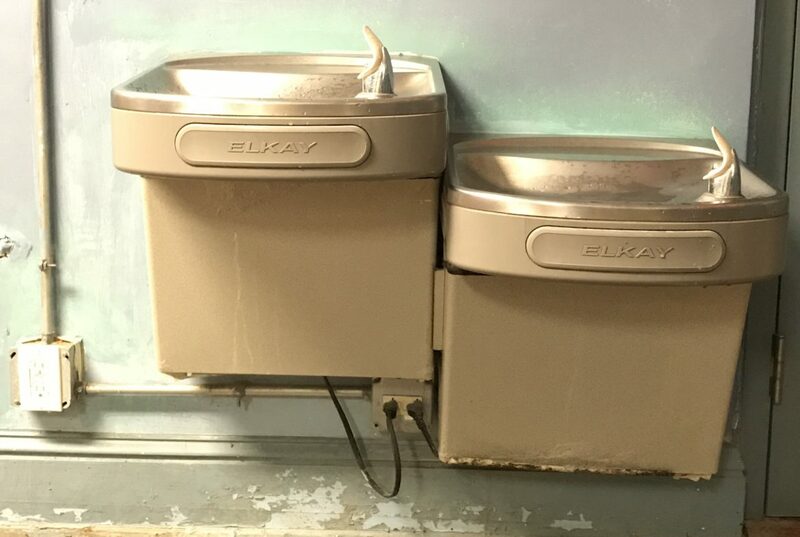 For more than a year, the Orleans Parish school district has planned to install water filters to virtually eliminate the risk of lead contamination at school drinking fountains and kitchen sinks. Now it looks like the filters won’t be installed before summer break. July will mark two years since the Orleans Parish School Board and the Recovery School District announced they would “proactively” test lead levels in schools’ water. They abandoned that plan, however, and opted to install filters instead. No one knows whether New Orleans schools have high lead levels in their water systems. It appears that the last time school water was tested was shortly after the federal Lead Contamination Control Act became law in 1988. The Sewerage and Water Board of New Orleans must check its water system for lead, and those tests have shown it is in compliance with federal guidelines. But lead levels can spike when underground pipes are shaken during road construction, and the water agency has been criticized for failing to inform residents when nearby projects pose that risk. The Orleans Parish school district has been working on purchasing filters since April 2017*. In late February, it told Minnesota-based EcoWater Systems Inc. it would get the job to install filters at drinking fountains. But no contract has been signed. The company must begin installing filters within eight weeks of signing the contract. Most schools get out for the summer in late May. Results should be shared widely, she said, and the school district should deal with any problems if they’re discovered. “OPSB’s motto, ‘Every Child, Every School, Every Day,’ is a hypocritical slogan until these measures are put into place,” Fendley said. A school district spokeswoman declined to answer questions about the project, saying an update is expected at a board meeting in mid-April. It all started in July 2016 after the public health crisis in Flint, Michigan. Local officials announced they would test school water for lead. A consultant outlined a process to sample several locations in 10 schools at a cost of $24,336. School employees told the Sewerage and Water board of their plans, and the agencies started discussing them in August 2016. According to emails and documents reviewed by The Lens, the Sewerage and Water Board wanted school district administrators to allow more lead in the water before taking a fixture out of service. The water system uses a threshold of 15 parts per billion. The EPA recommends taking a school drinking fountain out of service if it shows more than 20 parts per billion of lead. The schools initially set a threshold of 10 parts per billion. After the Sewerage and Water Board questioned their reasoning, it was raised to 15. The Sewerage & Water Board wanted to take its own samples, causing the schools’ testing consultant to wonder if they would end up with dueling test results. A spokesman for the city has said the water board did not discourage testing. But at some point in late 2016 or early 2017, school officials decided to drop the tests entirely. Instead, they planned to put filters at all drinking fountains and kitchen sinks. Experts said filters were a good choice because even if a particular school showed low lead levels, future construction could cause it to spike. The Orleans Parish school district solicited bids for filters last summer, seeking systems that are more elaborate than standard residential filters, which are certified to remove 99 percent of lead. These ones would filter sediment, lead and microbes, and they would automatically shut off when the filter expires. The school district allotted $800,000 for the filters and eventually estimated it would need at least 499 filters at drinking fountains. The filter contract will cover district-owned buildings, which includes most charter schools. Those in private buildings, such as churches, can order the filters through the district. In September, EcoWater was told it would get the job. But the district later disqualified it and the only other bidder because their systems weren’t certified to screen microbes. The school system started over with another request for bids, which were due in January. The district decided to award part of the job, for drinking fountains, to EcoWater. An award letter for kitchen sinks hadn’t gone out as of mid-March. Administrators with two charter schools said they haven’t gotten any updates lately. Last fall, they were told the filters would be in by winter break.